Grease is a vital component of your bearings. When bearing shields and seals become damaged from your equipment’s environment, grease is lost or contaminated. No one plans on bearing failure, but it’s sure to get everyone’s attention when it occurs. 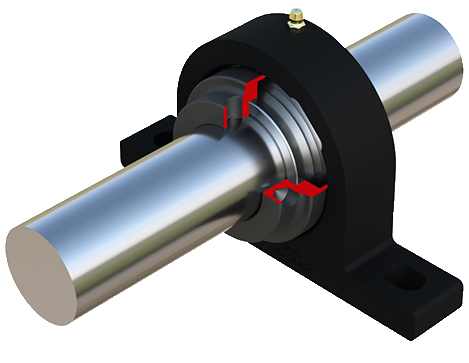 Bearings are cheap in comparison to downtime. Protection of vital areas prone to abusive environments deserves attention. Trust Black Ace bearing protectors to keep your bearings safe from harm.